Abstract: The focus of the study is the Templar estates in Lincolnshire during the first four decades of the fourteenth century. Within this context, two themes are explored in some detail. The first theme is that of the characteristics of Templar farming and estate management as illustrated by the accounts of 1308-13 following the arrest of the Templars. The second theme is that of the fate of the former Templar properties between 1312 and 1338. The introduction gives a brief historical background to the Templars followed by the aims of the thesis and a description of the primary sources. The historiography places the present research within the context of both Templar research and that of medieval agriculture. In chapter one, the distribution of Templar properties within the Lincolnshire landscape is discussed. Based upon archaeological and documentary evidence the physical characteristics which were common to the Lincolnshire preceptories are defined. Further, those aspects which were individual to a preceptory reflecting its size and function are identified. The following three chapters concentrate on different aspects of Templar agriculture in Lincolnshire, placing them within the context of other studies of medieval agriculture. Arable farming, livestock other than sheep and sheep farming are discussed in some detail. Chapter five explores the nature of the personnel who worked on the Templar estates and those who were dependent upon them; the priests and the corrodiaries. In addition it follows the fate of the Lincolnshire Templars following their arrest in 1308. 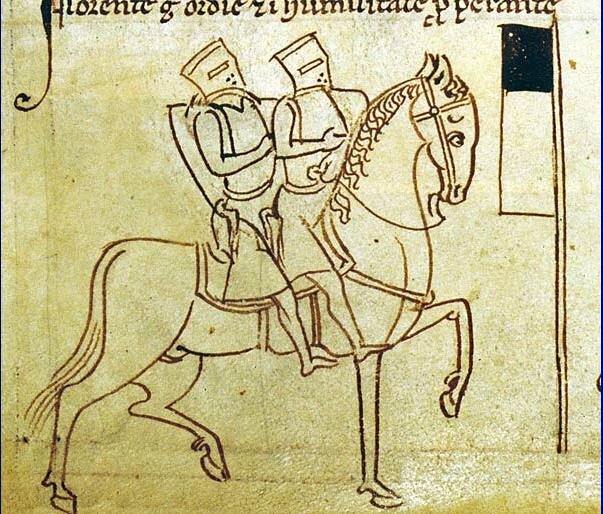 Further, it identifies the beneficiaries of Edward II’s patronage using Templar property. Chapter six considers the tortuous transfer of the former Templar estates to the Hospitallers and the extent to which that was successful.